Welcome to the UBC Aquatic Centre! April 2019 newsletter – Are You Ready? The UBC Aquatic Centre has the Spring & Summer programming to support your family’s health, fitness and recreation goals for the coming months. Are you ready!?! The April 2019 edition of the UBC Aquatic Centre newsletter is available online here. Don’t miss out: Receive future newsletters directly to your inbox by registering or updating your profile today. Your online PDF version of the 2019 Spring & Summer UBC Recreation Guide is available online. Whereas there are hard-copies available for you at the front desk, we know many of you opt to consult the document online. Visitors are encouraged to consult the UBC Aquatic Centre Drop-in schedule prior to any visit. 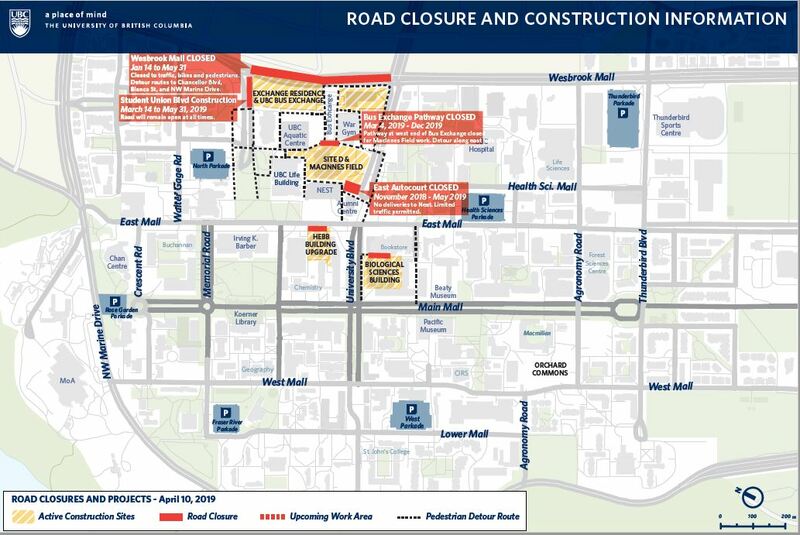 Bus stops on Student Union Boulevard will be moved into the new UBC Bus Exchange starting Monday, April 15th. 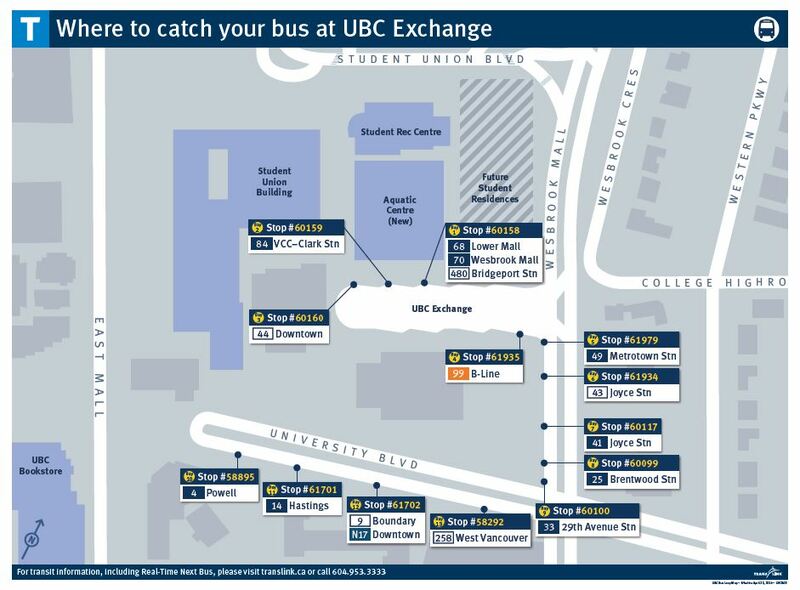 The attached UBC Bus Loop Map details where bus stops will be located. Some directional signage will also be put out around the construction area. UBC Students are invited to join us for our free Steam & Stretch programs at the UBC Aquatic Centre. Students will enjoy a guided stretch in our Sauna focusing on back relaxation and shoulder mobility. They will then move to the Steam Room for a quick guided meditation where they will exhale out their worries and stress. Students will finish their experience with stretching in the hot tub. Unwind, relax and refresh your mind and body. Taking a break from sedentary activities like studying and incorporating movement and meditation have been shown to improve physical and mental wellbeing. The UBC Aquatic Centre is committed to supporting the wellbeing of the UBC community with free programs like this. If you have any feedback or ideas please reach out at aquatic.centre@ubc.ca. Check-in at the front desk of the UBC Aquatic Centre with a valid UBC Student ID card. NOTE: This event has a capacity of 10 individuals and participants will be accommodated on a first-come-first-served basis. In the event that we do run out of space in the program, UBC Students with a valid ID card do get free entry to the facility and can enjoy the hot tub, steam room, and sauna outside of the guided program. Following the Swimming Canada 2019 Canadian Swimming Trials (April 3 – 7, Toronto, ON), a number of athletes who train at the UBC Aquatic Centre have qualified for Team Canada. The momentum created by a fantastic varsity season and U SPORTS Swimming Championships continued at the 2019 Canadian Swimming Trials as 15 swimmers and staff associated with the UBC Thunderbirds Swimming Programs and HPC-Van (High Performance Centre – Vancouver) were successful in being named to the various National Team rosters for this summer. Congratulations! Tom Johnson (HPC-Van Head Coach – Staff Coach; Janice Hanan – Team Manager. Alumnus Yuri Kisil qualified for Worlds as well. NOTE: Karen Tam may still be able to qualify for the FINA World Aquatic Championships and has until the end of May to make the team for Hong Kong. Also, Hau Li Fan still has the Canadian Open Water Trials (10K) in Cayman Islands on April 27. This will be selection for the World Aquatic Championships and Pan American Games. Coach Price, Hau Li Fan and incoming rookie Raben Dommann (North Vancouver) will head south on April 22 for the race. And, fear not, should you be wanting to watch some of the excitement from this past weekend CBC has the broadcasts saved online here. As part of our planned maintenance program, the competition side of the facility including the 50m Competition Tank and the Steam and Sauna will be closed to the public. In an effort to meet the wide range of user needs, the temperature of the water in the 25M Recreation Tank has been temporarily dropped to 80-81 degrees Fahrenheit. Please consult the UBC Aquatic Centre Drop-in Schedules prior to any visit. Swimmers were among those honoured during the UBC Varsity Big Block Awards Banquet hosted at the Vancouver Convention Centre, Tuesday April 2. Since March of 1921, UBC student athletes and supporters have been gathering at the Big Block Banquet to welcome the newest members into the Block Club and to celebrate the success of the a season gone by. The Big Block Banquet is a night that honours the amazing achievements of student athletes whether on the field of play, in the team room or the classroom. 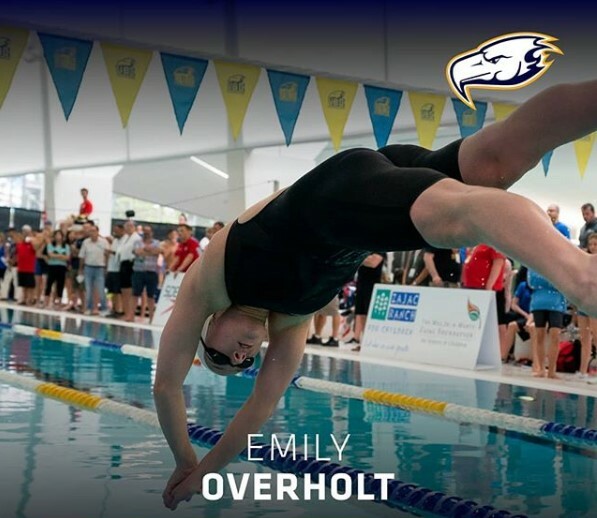 From individual honours, to team achievements, the Big Block Banquet brings together past UBC Thunderbird greats with the stars of today and tomorrow. This is the best of the best. Marilyn Pomfret Trophy (Outstanding female athlete of the year) : Emily Overholt and Kiera Van Ryk (Volleyball). 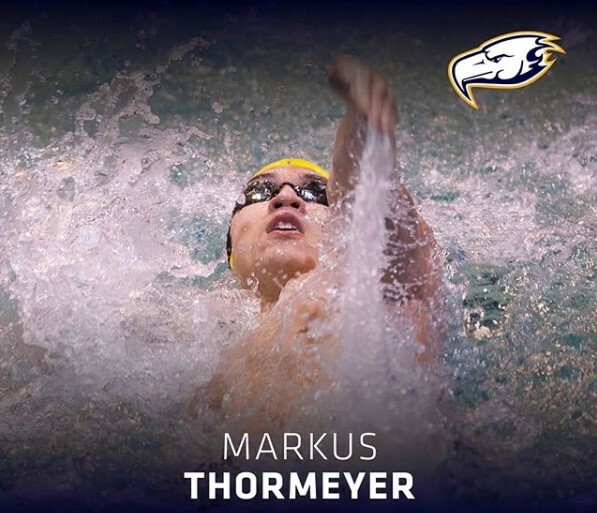 Bus Phillips Memorial Trophy (Outstanding male athlete of the year) : Markus Thormeyer. May Brown Trophy (Outstanding graduating female athlete of the year) : Maia Brundage. Also included among the nominees were Alex Pratt for Thunderbird male rookie of the year and both the Women’s Varsity Swimming Team and the Men’s Varsity Swimming Team for the the Du Vivier Team of the Year. We congratulate and thank the swimmers along with their coaches for inspiring us with that they do in the water and in our community. Many of the swimmers are in Toronto this week (April 3- 7) for the Swimming Canada’s 2019 Canadian Swimming Trials as this competition will serve as the nomination or selection Trials for the 2019 FINA World Championships, 2019 FINA World Junior Championships, 2019 Pan American Games, 2019 Para Pan American Games, 2019 World Para Swimming Championships, and the 2019 FISU (World University) Games.